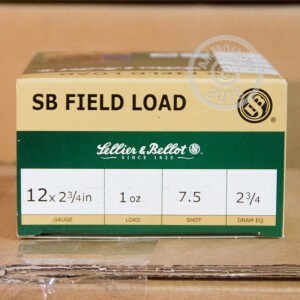 These 12 Gauge 2-3/4" Field Loads, from Sellier & Bellot, are perfect for target shooting or hunting small game. 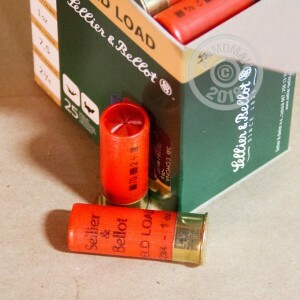 Each round is loaded with 1 oz of #7.5 Lead Shot, making it great for upland birds or target clays. Sellier & Bellot is a based in the Czech Republic, is part of the Magtech family of ammunition manufacturers, and has been producing high-quality rounds since 1825. 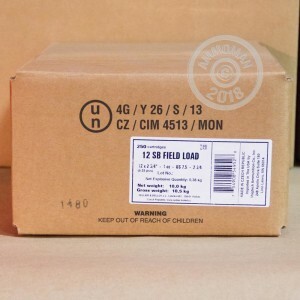 Remember all orders over $99 ship for free, from AmmoMan.com.